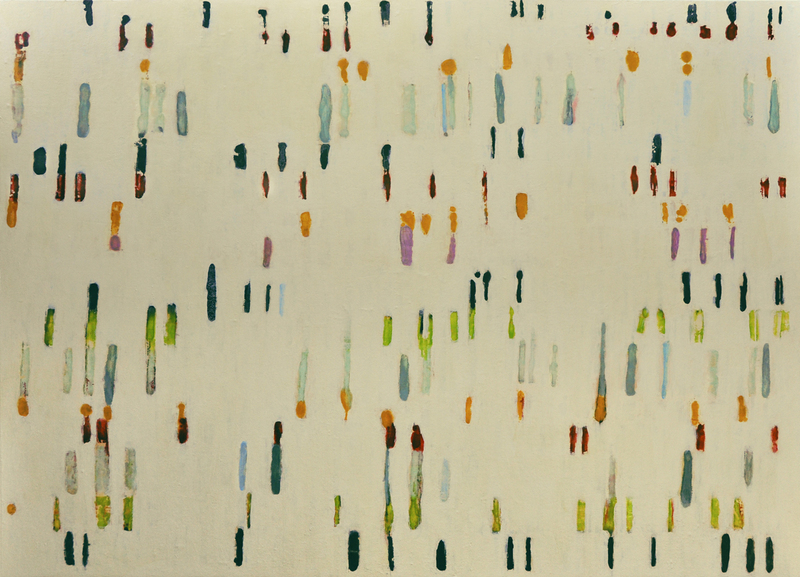 The Winfield Gallery presents the exhibition LUMENIS— New Paintings of Tracey Adams. LUMENIS continues to explore Tracey Adams’ fascination and ongoing interest in the areas where art and music intersect and overlap: gesture, line, color, space, pattern, etc. This series of paintings incorporates encaustic monotypes (pigmented beeswax printed on Japanese papers) which are then collaged on panels and glazed with many layers of acrylic, then covered with cold wax. As a student, earning a Master’s degree from New England Conservatory of Music, Tracey was strongly influenced by the compositional principles of John Cage. 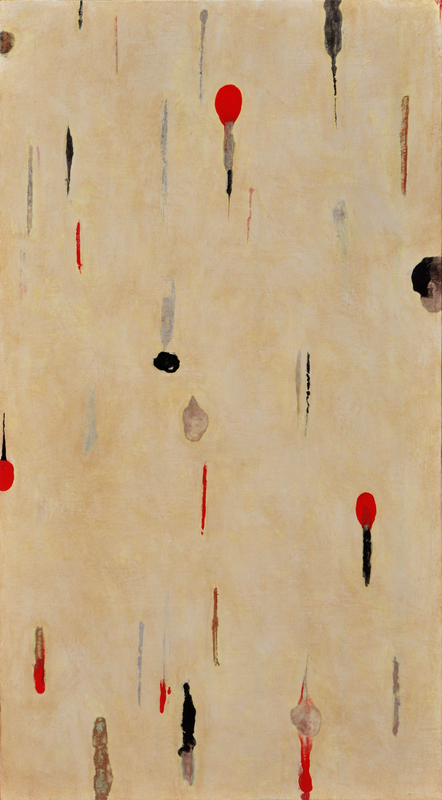 Much of her collage work involves the process of indeterminancy, a process Cage created and worked with for much of his musical and artistic life. Decisions about mark-making involve parameters that are fixed or limited such as color, line and shape. While she no longer performs music actively, the elements of music are deeply embedded, appearing in her paintings as visual compositions. With the LUMENIS series, Tracey has moved away from the grid as a compositional element for the first time in 30 years. 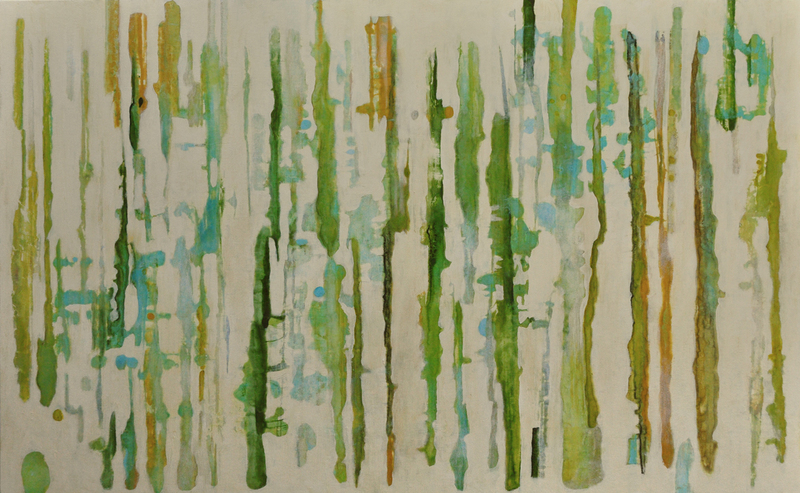 The series of work began as encaustic monotypes and became paintings. Working without a grid, seeing where it might lead or not, has created a series that is definitely about patterns. 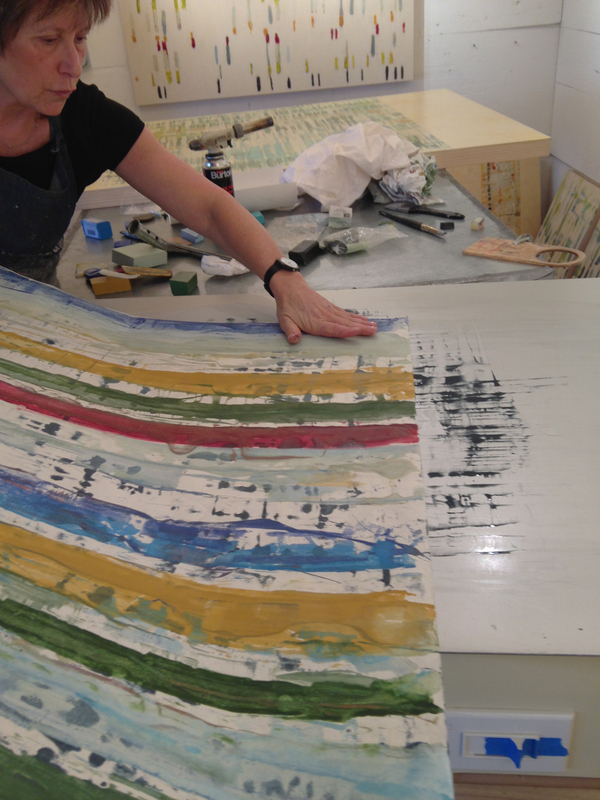 Tracey Adams has been an exhibiting artist for over 34 years, both as a printmaker and painter. She has participated in over 150 solo and group exhibitions in the United States and internationally, including solo shows at the Fresno Art Museum, Monterey Museum of Art, Santa Cruz Museum of Art and History and the Andy Warhol Museum in the Slovak Republic. Her paintings are in the collections of the Crocker Museum, Monterey Museum of Art, Fresno Art Museum, Tucson Art Museum and Santa Barbara Museum of Art to name a few. Her work was included in Encaustic Art: the Complete Guide to Creating Fine Art with Wax, Lissa Rankin, Watson-Gupthill, 2010, and Paper + Wax, Techniques in Handmade Paper and Encaustic, Michelle Belto, North Light Books, 2012. She maintains a studio in northern California. The gallery hosts multiple exhibitions a year and maintains a deep commitment to promote our artists’ careers. Winfield Gallery collaborates with museum curators, produce catalogs and books, establish relationships with the press and continue collector education and development. The gallery works to create an atmosphere that builds bridges between the creative work, collectors and art enthusiasts at all levels.